Who ever heard of a spunky hanky-panky cranky stinky-dinky lanky honky-tonky winky wonky donkey? Well – about three million people, in fact! That wonky donkey, who stars in a video of a granny reading his story to her grandchild, has become a viral internet sensation, viewed millions of times. And here’s the book that started it all! A hilarious read-aloud tale to get you braying with laughter, full of silly moments and rib-tickling artwork. 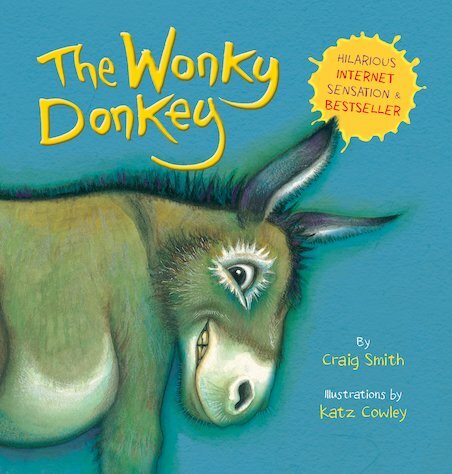 Don’t be left behind – read The Wonky Donkey and find out why it made that granny laugh so hard! Over three million views of this book being read aloud!